In 1970s Chanute, Kansas, a line of effect pedals was released by Bud Ross - founder of Kustom Amplification - under his own name. ROSS continued to manufacture pedals into the 1980s. After ceasing production the pedals continued to circulate, becoming more and more sought-after with each year. In 2017 Chicago, Ross Audibles was founded by Cameron Ross - Grandson of Bud Ross - and Ben Brazil - both born and raised in Chanute, Kansas. The company was started to continue the legacy of quality and innovation that was exemplified by that first line of ROSS effects. Our passion is creating authentic and faithful continuations of these pedals. With an extreme interest in research and development and after months of testing, we are very excited to relaunch Ross. We've worked with a foundry to duplicate the original enclosure. We've consulted the original circuit designer. We've thoughtfully sourced our parts. 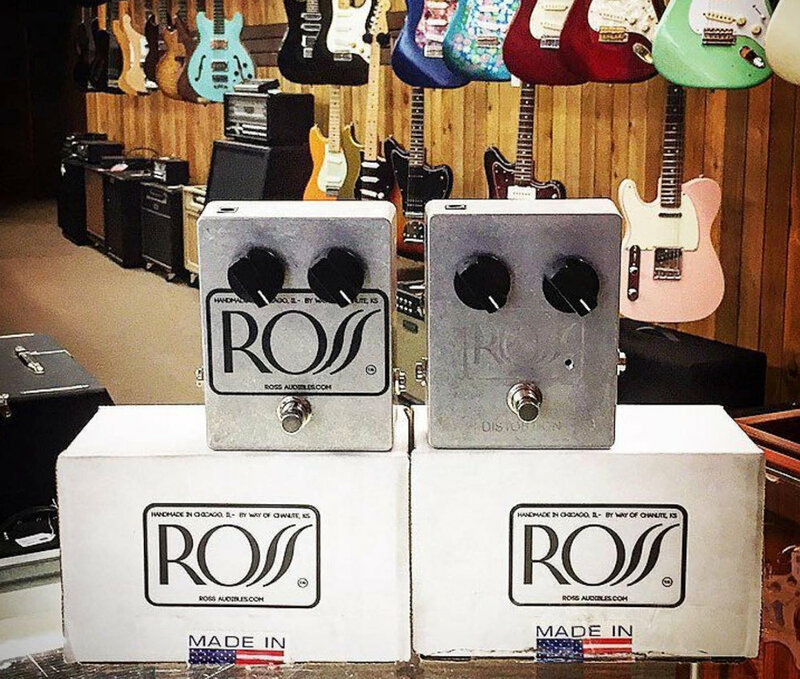 We've taken every step to build the ROSS pedal you want.